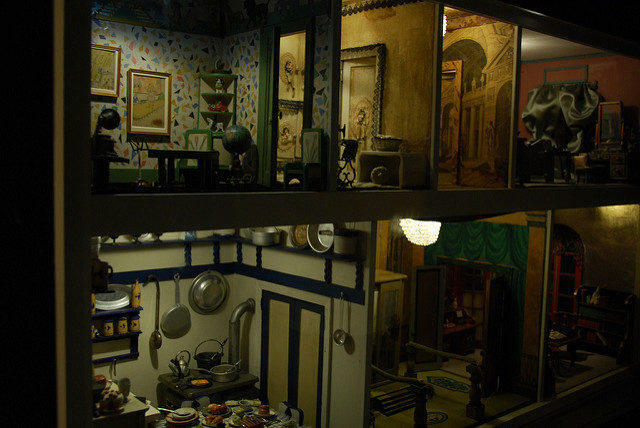 The Stettheimer Dollhouse, created by Carrie Walter Stettheimer for 20 years, from 1916 to 1935, is a magnificent 1930s two-storey New York home with 12 rooms and various little precise decorations. 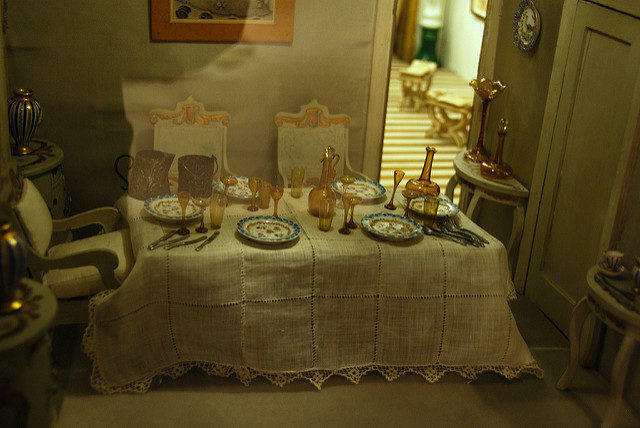 Carrie first got the idea for the dollhouse in 1916, when she was on a summer vacation in upstate New York with her sisters. 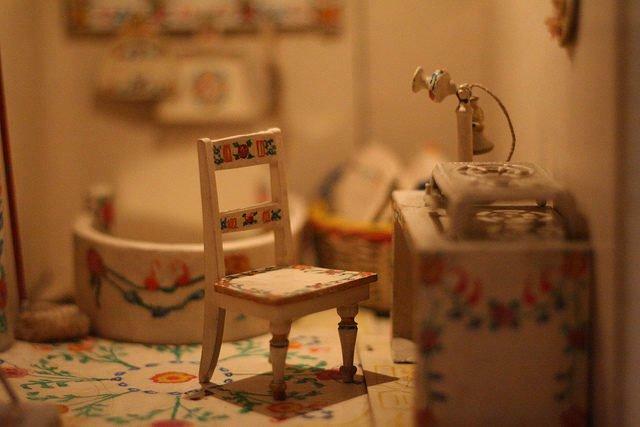 She started using boxes made of wood that she took from the grocer’s and just about any scraps that she found around. 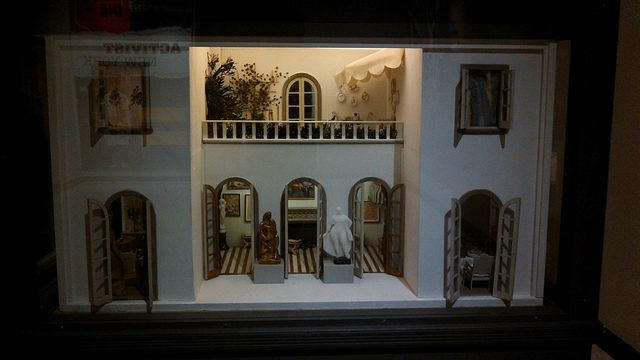 Today, the dollhouse is on display in the Museum of the City of New York. It is 50 inches long, 28 inches tall and 35 inches wide. On the ground floor, there are two sculptures and three open doors. Up on the second floor, there is a terrace with miniature plants. 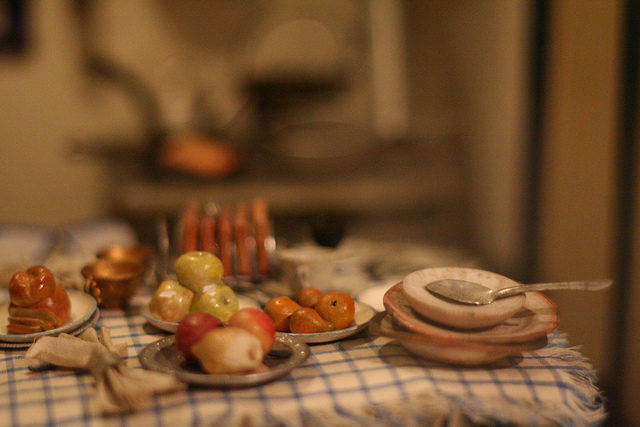 The kitchen is full with typical things you see on a regular home kitchen, and breakfast is served on the table. 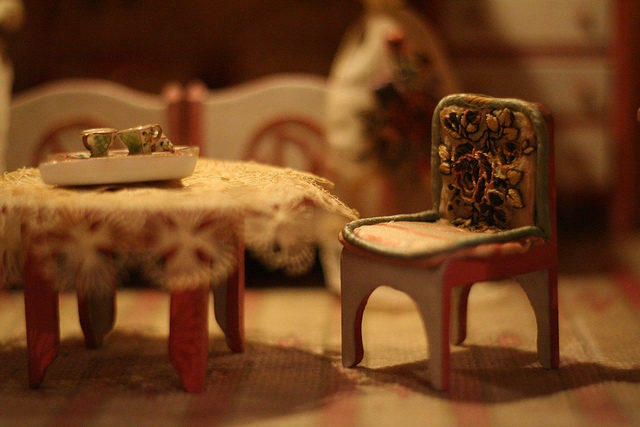 The dining room has white furniture and a table with little bottles and glasses. When her mother died, Carrie stopped the work on the house, and some of the rooms were left unfinished. In 1945, Ettie donated the house to the Museum of the City of New York, and she arranged the unfinished rooms, still following her sister’s style. 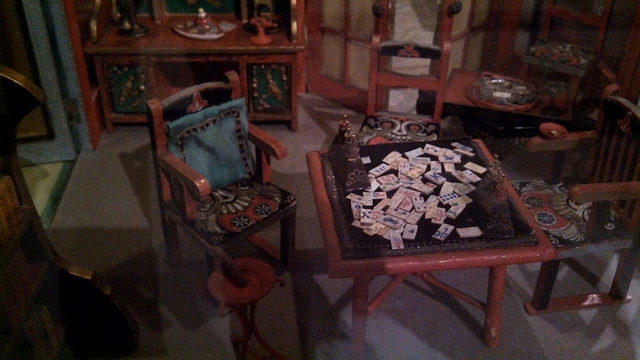 The dollhouse is priced at 1 million dollars today. 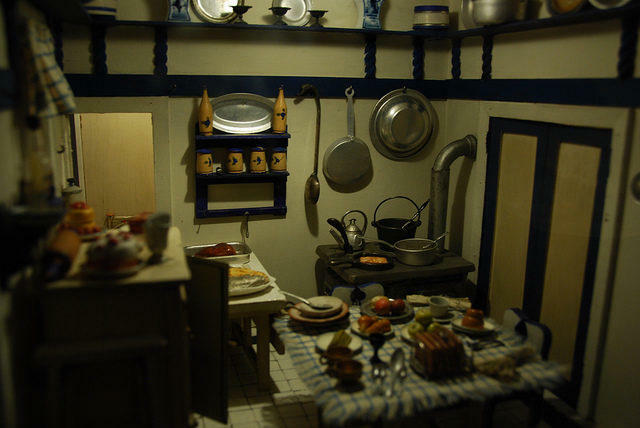 The miniature art inside the dollhouse was made in collaboration with many artists including Alexander Archipenko, Marguerite Zorach, Marcel Duchamp, George Bellows, and Gaston Lachaise.